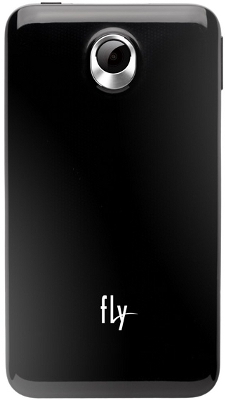 The Company Fly introduced another budget smartphone, Fly Pride (IQ255), capable of working simultaneously with two SIM-cards (including standby) and has a very powerful stuffed with democratic values. According to its characteristics very similar to the apparatus Fly IQ235 Uno, but differs in the larger display. Thus, the smartphone Fly Pride (IQ255) is installed with a 3.95-screen with a resolution of 480×320 pixels and a capacitive touch panel, and the underlying hardware platform is a smartphone MTK 6515 with 1 GHz, supplemented with 512 MB of RAM. Fly Pride (IQ255) can also accept microSD card up to 32GB. Two standard connectors – 3.5 mm headphone jack, and micro-USB – located in the upper face of the body smartphone. Switch volume imposed on the right edge, and on the rear panel is a 3-megapixel camera. 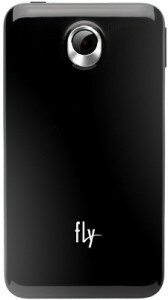 The Fly Pride (IQ255) smartphone is equipped with all necessary wireless interfaces, including GPS, Bluetooth and Wi-Fi. Note Fly Pride also have (IQ255) proximity sensor, accelerometer and FM-receiver. It feeds by a rechargeable battery a capacity of 1600 mAh, a charge which is enough for 5 hours operation of the device in a mode of talk time or same 500 hours of stand-by. Dimensions Fly Pride (IQ255) is 123 x 67.2 x 11.6 mm, weight – 168, the novelty will be available in August at a price of $190.